Follow the latest news. Build powerful relationships. Reach skilled experts. Moonen MARTINIQUE is the second yacht to be built on the 36-metre Martinique platform. She features exterior design by renowned Dutch designer, René van der Velden, with naval architecture executed in cooperation between René van der Velden and Diana Yacht Design. London based Studio Indigo is responsible for her interior design. Available for sale and scheduled for delivery early spring 2020, interior styling and decoration will be a close collaboration between MARTINIQUE future owners and Studio Indigo. 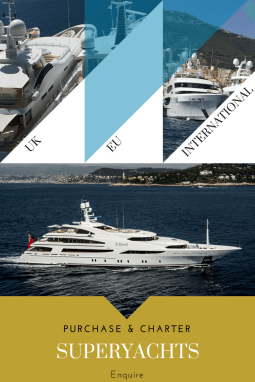 If you like to stay up to date with the latest Business, Technology, Fleet, Owner, Design and Crew News then the superyacht groups digital publication is hard to beat. They also publish several well-known magazines including the superyacht and crew report. Yachting Pages Media Group is one of the most well-known Yachting directories in the Industry, if you haven’t come across the hand delivered bag of goodies from YPMG have you ever even stepped foot on a superyacht. Well known for the established well marketed bright pink logo and merchandise its hard to miss this hard working team at any of the Boat Shows. Good news. You’re already pretty familiar with the SYCA bog, as you’re reading it right now. For those who haven’t read much of our blog, the focus is to provide crew with useful resources and advice. OnboardOnline is a digital platform at the forefront of issues that matter to the yachting community, often leading with stories that resonate with this audience. They are based in Antibes and launched in 2013. Update: not sure if they are still around, haven’t seen a post since October last year. 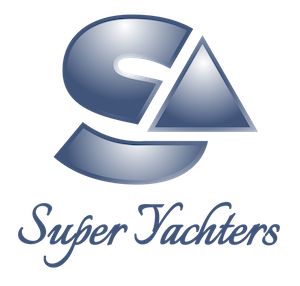 Let us know if we have missed any of the top Superyacht Blogs and Influencers within the industry. Cannes Lions International Festival of Creativity 2019 will be held from 17 to 21 June where Cannes transforms into the global headquarters of the entire marketing communications ecosystem. 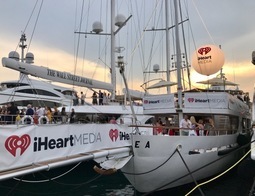 Whether you're a first-time visitor or a Cannes Lions stalwart, Bespoke Yacht Charter shares their practical guide to Cannes Lions 2019. Almost one hundred years ago, luxury yachts were not common place on the French Riviera with the preferred transport being trains especially the Paris-Lyon-Méditerranée (PLM) expresses. Le Train Bleu opened up the region and brought with it distinguished passengers over the years including Winston Churchill, Charlie Chaplin, Coco Chanel, F. Scott Fitzgerald and Somerset Maugham. Good weather and sunny skies flipped the coin for the French Riviera as hotels began to extend their season to cater for wealthy visitors. 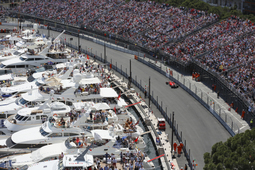 Amber Lounge Monaco’s events are the highlight of the social calendar during the legendary Monaco Grand Prix. Het message Hello, Masa! 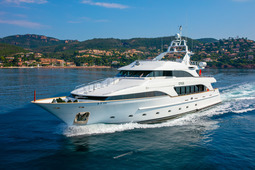 The newest member of our fast-growing fleet was published first at Heesen Yachts. The seaside Mediterranean village of Saint-Jean-Cap-Ferrat has earned the nickname the "Peninsula of Billionaires" due to its opulent historic villas owned by millionaires. At yacht shows, your employees are the gateway to business partnerships. Whether you're a small, medium or large yachting business, ensure you look beyond the physical components of your exhibition stand such as the stand design, logo, furniture, wall coverings, lightings, catering and printed collateral. Make sure you brief your client-facing staff - even temporary staff - with a consistent message that aligns with the values of your company. At a busy yacht show, potential customers need to understand WHY your company exists and WHY they should choose you. Many well-known car manufacturers have branched out and teamed up with boat builders in recent years to co-create some of the best machines to tackle the seas. With quite a few players of Holland’s superyacht industry established near Leiden, local inhabitants are pretty used to seeing a some big boats every now and then. 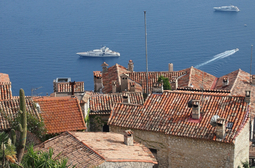 However, a superyacht squeezing in to the city center, has certainly drawn some attention. On a beautiful Friday in late March, Mulder’s latest 36 meter superyacht Calypso departed at 12:00h from the shipyard in Zoeterwoude with destination: Restaurant Woods. Around two hours later, the yacht berthed at the historic drying-shed of sawing mill ‘Heesterboom’ . It was the perfect venue and hosted over 130 guests at the Owner’s party. Fully decorated for the first time, Calypso was admired by her visitors and the charming crew certainly made everyone feel welcome. The yacht is now being prepared for her maiden-trip to Malta and she will be present at the MYBA Charter Show in Barcelona from Tuesday the 30th of April to Friday the 3rd of May. Mulder’s newest ThirtySix Calypso, the 298 GT superyacht has left the shipyard in Zoeterwoude for a number of intensive sea trials on the North Sea. Started as BN110 in early 2017, this full aluminium vessel is Mulder’s third project in combination with the London based Claydon Reeves for exterior design and Van Oossanen for the naval architecture. Her patented FDHF hull design is powered by twin Caterpillar C18 1.150 HP engines, expecting a top speed of 16.8 knots. The proven round bilged hull in combination with zero-speed stabilizers provide maximum comfort on board. Talented interior designer John Vickers was appointed on his sixth collaboration with Mulder, to showcase a relaxed luxury beach style by blending a fusion of Cote d’Azur chic and the spirit of Ibiza with a laidback sophistication, in an interior design that promises relaxation and something truly memorable. This award-winning superyacht will be available for charter in the Mediterranean. These electric powered body boards are perfect for Superyachts on charter for all guests to use and also for smaller yachts with limited space or weight restrictions on sailing yachts. The Rescue Version is also a "must have" Instant Launch life saveing piece of equipment where you can throw into the water and you have instant power to someone in distress and it can carry one and tow one person. Weighing from 18 Kilos these lightweight boards can do speeds of around 10mph and can last up to an hour in the water on a single charge. Endorsed by Richard Branson be the first to entice your family and guests where you can all explore at the same time. 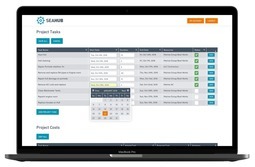 Brokers, speak to us about discounts for bulk purchase and also becoming a licensed reseller. large gatherings. Professional in-house DJ. Well-trained catering staff. 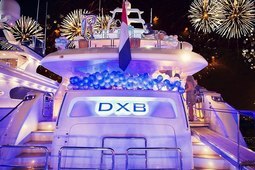 Looking for yacht charter in Dubai? Royal Yachts offers best yacht charter & luxury boat rental services in Dubai, UAE. Hourly, daily & weekly yacht charters. wide collection of luxury yachts. World’s top yacht brands. Sanlorenzo. The launch of the 263-foot Dragon by Columbus Yachts is a milestone for the Italian builder. Her dynamic and elegant exterior design by René van der Velden and interiors crafted by Art Line Interiors will make you feel right at home. SOFIA is furnished with natural elements like French oak, Zebrano wood, and leather finishes. The interior is flexibly mounted to dampen vibration and reduce noise. Onboard you’ll find a master suite, two queen cabins, and two double guest cabins, accommodating up to 12 guests and 7 crew members. 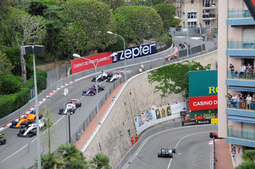 The Cannes Film Festival and the Monaco Grand Prix, the most prestigious French Riviera events take place in May. 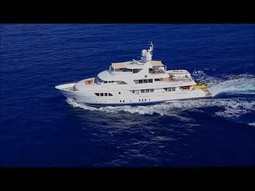 Arrive in style with a luxury yacht charter. 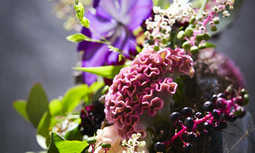 Dianthus Miami applies the same Dutch craftmanship that created a legacy of legendary superyachts to their floral creations.